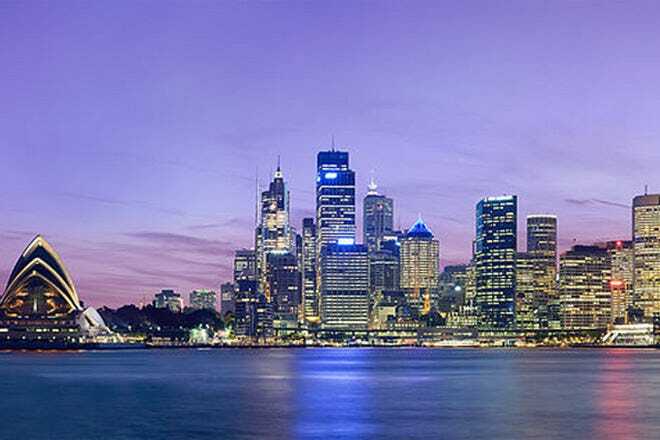 10 Best brings you the best places in Sydney to let loose. 10 Best takes a look at some of the best catches in Sydney. Explore some of the best culinary delights Sydney has to offer. What to see and what to do. Sydney's essentials sights and activities. Whether you want to enjoy some quiet beers with friends or party the night away, Sydney has you covered. No trip to Sydney would be complete without seeing attractions like the Sydney Harbour and Opera House. For those interested in Sydney history, head to the Australian Museum in the business district. Science enthusiasts may enjoy the Powerhouse Museum which also has great interactive exhibits for children. Bondi Beach is the most photographed beach in the country. The free beach is a half-mile long and has cafes and restaurants along the path. Hot Tips: Book ahead for the Sydney Observatory during peak summer months. Hot Tips: The roof of the Sydney Opera House is composed of over one million tiles in two colors. Accommodations in Sydney range from boutique hotels to well-known hotel properties, hostels, apartments and bed and breakfasts tucked away in tree-lined streets. Staying in one of the inner city locales such as Surry Hills, Potts Point or Darlington gets you close to the city and public transportation, nightlife and dining. Newtown is near the city and includes Sydney University (read: cheap eats and bars). 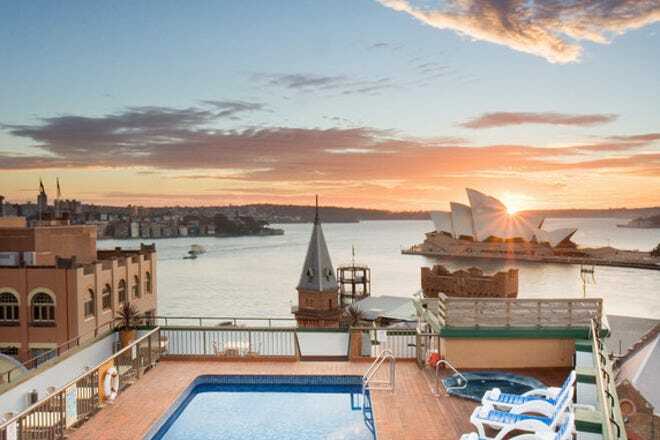 Several hotels offer guests the option to wake up to spectacular views of the Opera House and Sydney Harbour Bridge including the Marriott at Circular Quay. Hot Tips: Public transportation makes it easy to get around Sydney, so a car isn't required if you stay in an inner city locale. Immigrants have brought to Australia its own flavors and Sydney’s chefs have tried to meld those cooking traditions with local ingredients to create “Mod Oz” cuisine. Eager diners form a line stretching down the street to enjoy Malaysian dishes at Mamak in Haymarket near Chinatown. 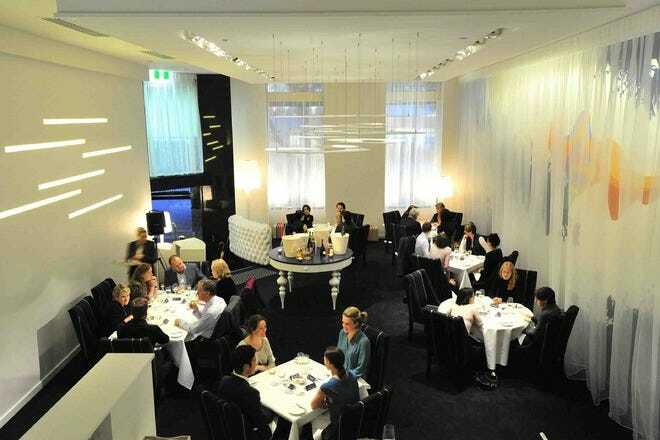 Fresh seafood is plentiful in Sydney and those in the know head to RocIncludekpool where you may even notice a celebrity or two at the table next to you. Hot Tips: Adventuresome diners might want to try dishes with kangaroo and crocodile meat. Tucked away below the Opera House concourse lies one of the best beer gardens in the world which boasts a wine list of over 40 wines. The stunning views of the ocean, Opera House and Sydney Harbour don’t hurt either. A real night out on the town in Sydney includes Oxford Street, and for local music, head to the Oxford Art Factory. Hidden beneath Slip Inn, locals flock to Chinese Laundry, one of Sydney’s biggest and longest running nightclubs which brings the best of international and local kings of house, electro and tech in-house. Hot Tips: Do practice caution when visiting Oxford Street on a busy night as you would when partying on any major strip of nighttime establishments. Sydney shopping ranges from luxe labels and home-grown fashion to busy markets. City Centre has Westfield Sydney, four floors of fashion brands like Zara and Gap. The Strand Arcade is Sydney’s oldest arcade, has beautiful interiors and fabulous fashion boutiques featuring local and international brands including Strand Hatters, one of Sydney’s oldest shops which stocks the Akubra, Australia's most famous hat. Paddington’s Oxford Street is well-known for its funky boutiques and high-street fashion. On Saturdays at 10 am, Paddington Markets features local arts and crafts, gourmet foods and live jazz music. Hot Tips: Has can be steamed, cleaned and fitted while you wait at Strand Hatters. Hot Tips: Didgeridoos and boomerangs. Five of Sydney's most unique features and characteristics. 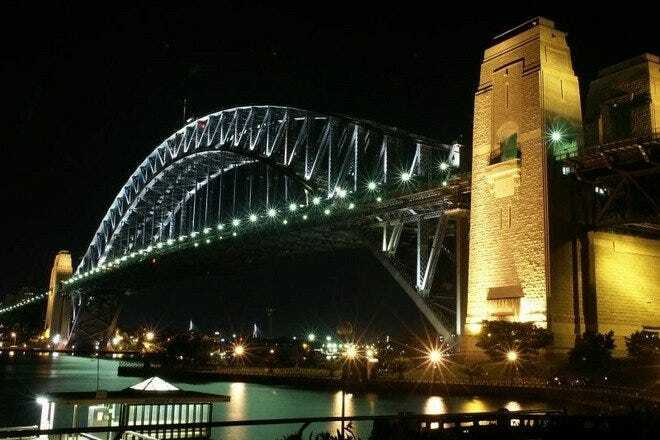 Walk over the Sydney Harbour Bridge – known affectionately by locals as The Coathanger due to its shape. The Bridge celebrates its 80th birthday this year (2012). Walking across or climbing the bridge affords great views of the Opera House, the Parramatta river and North Sydney. Circular Quay is the main hub for ferries, trains and buses and is one of the most action-packed places in town for outdoor restaurants, art galleries, markets and the heritage Rocks area. Sailing in or out of this iconic spot on a ferry across the Harbour and past the laughing mouth of the clown entrance to Luna Park or by the iconic Opera House as the sun glitters on its white sails, is always a breath-taking moment. Probably the most famous landmark and international symbol of Sydney, the Opera House is the jewel in the city’s crown. Modern, ahead of its time in terms of design and filled with fantastic theatre, music and song, the Opera House proudly sits on the water basking in the sunshine. Designed by Dutch designer Joern Utzon, construction began in 1958 and was completed in 1973; the acoustics took a long time to perfect. Have your photo taken on the steps up to the main foyer and then take tea at Bennelong, where a solo soprano will serenade your afternoon treats. Dial it down with a stroll along Sydney’s coastal walks, where native flowers plunge into sapphire seas. Lucky Sydneysiders often hit the beach after work and the city boasts stunning beaches and great surf at spots in the north, south and east. Experience Bondi beach at sunrise and watch the surfers catch an early morning wave. Walk the coastal path to Bronte after. Spy the beautiful people at skinny beach Tamarama, known to locals as Glamourama. Bask on the white sands and bathe in the shallows at Balmoral. Hop on the ferry to Manly the second ‘surf town’ to Bondi. Breathe in the salty air and cool down in the lap pools from Dee Why to Curl Curl and head further north to the beautiful northern beaches of Whale and Palm. Here the city speed is left behind and surfer relish the wide stretches of golden sands and big swell and cucumber cool vibe. Sydney is for hedonists. Mix beautiful people with 100s of restaurants serving incredible food, rooftop bars, cool clubs and pop up as well as beachside and long serving bars and there you have it: the fun capital of Australia. You don’t have to wait until the weekend to party here, in fact some of the best nights start midweek and Sunday afternoon is usually swinging. Festivals, pool and beach parties, pub quizzes and pool competitions, lawn bowling (yes this is trendy and another excuse for an outdoor get together with beers as well as bar be cues on the beach, (just bring your food and some coins to fire up the grill at beaches around town) are all to be discovered. The music scene is happening with local and international bands gigging around town. Cocktails just get more and more inventive and creative and beer is served up in schooners (glasses slightly smaller than a pint to keep the beer chilled for longer and midis – small glasses. Bar-wise, there are the super sophisticated, bars with secret entrances and pass codes, whiskey and cigar style prohibition lounges, sprawling outdoor bars and good old fashioned pubs. Watch fireworks blast and light up Darling Harbour every Sunday night. Why? Because celebrating the weekend every weekend seems like a fine idea to Sydneysiders and why not? Sydney knows how to put on a show. Fireworks in this city are all about visual art, integrated with the sounds of musical artists and a fusion of art and music. Fireworks for pretty much any major celebration, Australia Day and Vivid in the light and fire festival all culminate to the main event at the “dress circle” (the natural theatre stage made by the harbour) on New Year’s Eve where the city lights up at 9pm and then again at midnight with the biggest fireworks display of the year.